We have been providing local homeowners, businesses and general contractors with quality flooring and great customer service for over 13 years! We strive for excellence. Our prices are very competitive and the quality of craftsmanship is the best. We want our customer to have the best experience. We stand behind our promise and always deliver on time with great results. Quality Guaranteed, On Time, On Budget : Greater Floor Surfaces, Inc., guarantees that we will meet your standards for the best quality and the best price when you hire us to be your flooring contractor. We have been doing business around the Puget Sound area for more than 13 years. We specialize in Hardwood, Laminate,Natural Stone, Ceramic Tile and Vinyl flooring. We install only the best quality flooring materials acquired from local suppliers. Contact Greater Floor Surfaces, Inc. today to receive more information regarding your next project. We are looking forward to speaking with you. *Authorized Bona Certified Craftsman* Since 1983, we have been providing our customers with the beauty of real wood floors, expertly installed and finished. 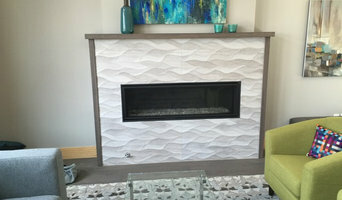 Advanced Floor Design has built its reputation by consistently delivering the very best in quality and craftsmanship on every project. Our reputation for quality has been achieved through building a team of well trained craftsmen and providing them with quality equipment and excellent products. We use the highest quality Swedish and Waterborne finishes available and other finishes such as oils and waxes. The craftsmen that will be working on your project are all employees of Advanced Floor Design; we do not use subcontractors. Our personally trained crew ensures the same quality workmanship on all projects. 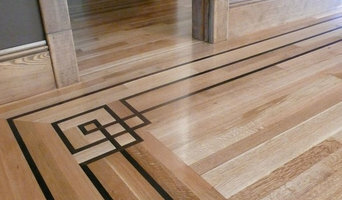 Advanced Floor Design is Licensed, Bonded, and Insured. We look forward to working with you to provide a quality floor that will add beauty and value to your home. NW Premium Hardwood Floors, Inc.
We offer the highest quality and a better value—period. When you choose to work with NW Premium Hardwood Floors, you can rest assured that you are getting the very best hardwood flooring expertise and installation available. Plus, you'll be working directly with the experts—no middle men to deal with. Our installers possess a very strong work ethic with a high attention to detail and a commitment to delivering the best results, every time. Together we provide many years of accumulated knowledge and experience in the hardwood flooring industry. If you are considering a new hardwood floor installation or refinish for your home, business, school, or church, and have questions, we are here and ready to help. European Hardwood Floors, locally owned and operated, hardwood flooring specialist providing sales, installation and refinishing services. If you are in the neighborhood, you should swing by and check out our 19,000 sq. ft. showroom located in Everett. Our showroom is fully stocked with all the floor coverings you could ask for: hardwood, tile, carpet, vinyl and laminate. If we don't have it in the showroom, that's not a problem because we can special order products for you. Completely Floored has a team of experienced installers and boasts an amazing design team, all at your disposal. Completely Floored also offers FREE in-home estimates, flooring installation services, quality products at great prices, and 12 months same as cash financing. Design, innovative, sustainable and unsurpassed quality hardwood floors, this is Aayers flooring. At Aayers, we are dedicated to provide the finest in hardwood flooring with outstanding value for your living spaces. Located in Kent WA (Seattle metropolitan area), we design each handcrafted floor a reflection of your own vision and style. We begin by selecting a wood species best suited to enhance and accentuate the inherent personality and natural character of the wood grain. Combining with hand make woodworking skills, like truly handcrafted, hand distressed, and hand scraped hardwood techniques with modern innovations, our process ensure hardwood’s beauty and distinction, making our products a timeless hardwood masterpiece. The Old European Floors, Inc. Carpet, Engineered & Solid Hardwood, Cork, Bamboo, LVT/LVP, Sheet Vinyl, Laminate, Marmoleum and Countertops! *Authorized Dealer of Shaw Floors, Mohawk, Masland, Dixie Home, and much more! * Arnie and Brad Vogel opened Vogel's Flooring in 1988 in Seattle's Green Lake neighborhood. With a concern about their customers overall service experience, Free In Home Estimates and Installation of their floors, Vogel's has been able to deliver competitive pricing, top notch installation and an overall positive flooring experience to their customers over the years. We offer a comprehensive selection of flooring products at reasonable prices, including carpet, area rugs, hardwood, vinyl, luxury vinyl tile & planks, laminate, Marmoleum, quartz & granite counter tops, and the latest in green products. For two generations Vogel's Carpets has been supplying the greater Seattle Area with natural fiber carpets and materials. We all know that buying your new flooring is only the first step. Proper installation is critical to ensure overall quality and longevity. Our trained sales associates will provide as much support as you need in deciding which floor covering options are best for you. Our mission at Vogel's Carpet and Flooring is to provide our customers with the best possible service. *Authorized Tufenkian Dealer* The Andonian family has been in the rug business since 1929. Mihran (Paul) Andonian built a reputation of establishing long-term relationships and trust with his customers. Those values continue to be the guiding principles of Andonian Rugs today. With three generations of experience in the business, Andonian Rugs can provide the highest quality service and expertise in helping you select and care for your rugs. We are uniquely qualified for the delicate process of cleaning, repairing and restoring. Our employees are specially trained to treat each rug with the highest standards of care and workmanship. Every effort is made to ensure the best possible result for each rug. We offer an outstanding selection of hand-knotted and machine-crafted rugs from around the world. Not only can we help you select the perfect rug, we will clean and maintain it for years to come. We look forward to meeting you! Since 1967, Decor Carpet One has been Bellevue's source for flooring solutions and options. We pride ourselves on being the experts in the industry delivering the best service. With most of our work done by in-house installers, we know what it takes to make sure the job gets done right, every time: follow-up and follow-through from beginning to end. Stop in today to experience the Decor difference and let us help you make your house a home! Since its founding in 1996 Heartland Floors has delivered the quality hardwood floor refinishing and installation of new hardwood flooring that discriminating homeowners expect and we remain true to bringing the very best products and services of the industry to your home. Choosing a hardwood flooring company for your personal home can be a daunting task. We're here to take the guess work out of it for you. Several things set Heartland Floors apart from the competition. We use the finest floor finishes and wood products in the industry. Swedish Finish is our flagship finish and all others are measured by how they compare to it. We treat your home with respect and care, we attend to the details and people love it. With Heartland Floors you get a truly beautiful hardwood floor without the risk. We're the hardwood flooring company that can do it all for you. Contact us today! 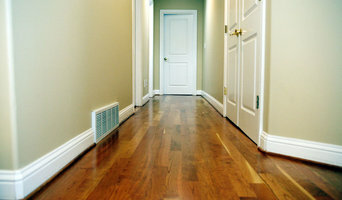 Hardwood experts since 1996, experienced in installation, finishing and refinishing, restoration, and maintenance. All flooring materials available from top manufacturers. LeBlanc Floors is committed to promoting the use of earth-friendly materials for our customers, including low-VOC finishes, FSC certified wood products, recycled-content products, and sustainably harvested & manufactured components. While we are not eco-warriors, LeBlanc Floors is dedicated to the idea that we all share one Earth, and it is our responsibility to offer our customers healthy alternatives for use in their daily environment. We offer a broad selection of locally harvested wood species, in addition to offering our expertise in selecting, sorting, & working with reclaimed wood floor materials. *Authorized Shaw Flooring Dealer* When it's time to replace the floors in your home or business, visit Andy's 5 Star Flooring Showroom for the widest and most affordable selection of carpeting, hardwood, tile, bamboo, cork, vinyl, and laminate flooring. Our friendly flooring experts have a solid reputation for customer service and more than 30 years of experience serving homeowners throughout the Puget Sound area. With over 50 flooring products, we can help you find the perfect flooring to suit your lifestyle, taste, and budget. Come visit our showroom, or if you prefer, we will bring sample flooring style and colors to you! Call us to schedule your consultation and we'll help you pick the perfect flooring for your needs! Experienced flooring retailers will know as much as an installer for what product is right for your Union Hill-Novelty Hill home. From hardwood floors to vinyl flooring and carpet, there are nearly as many surfaces to walk on as there are home styles to build. 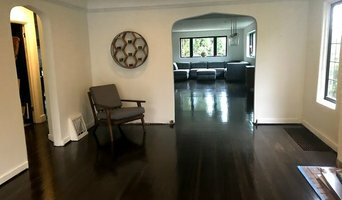 A pro can help to ensure that your Union Hill-Novelty Hill, WA home’s floors start off and stay in top form. Your carpeting and flooring professional might work closely with Washington contractors, interior designers and others in the home building and home improvement `industry. Here are some related professionals and vendors to complement the work of carpet suppliers: Interior Designers & Decorators, Design & Construction Firms, Specialty Contractors, Building Project Managers, Home Builders. Hire a Flooring Installation Contractor if your floor troubles are beyond the rug solution. From timber flooring to a laminate flooring installation, a specialist will take care of your sanding, polishing and floor covering needs. Look for a Flooring Installation contractor in Union Hill-Novelty Hill based on past work and referrals - all available on Houzz. Find a carpeting and flooring professional on Houzz. 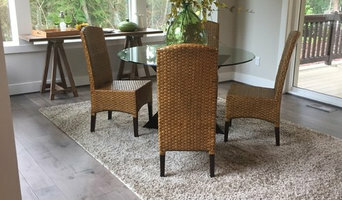 Narrow your search in the Professionals section of the website to Union Hill-Novelty Hill, WA carpeting and flooring. You can also look through Union Hill-Novelty Hill, WA photos to find examples of carpeting and flooring that you like, then contact the professional who worked on them.